Edit design Scarf happy birthday , or create your design from scratch. Customize and order online a knit scarf with your text knitted in. 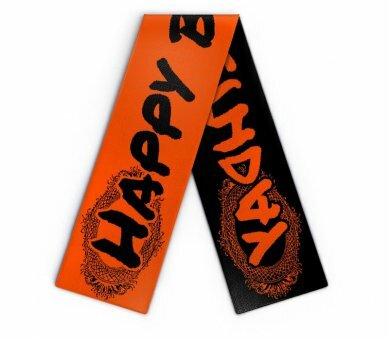 The "Happy birthday" scarf is perfect personalized gift or present for any occasion. Edit desired text and add background patterns, cliparts, logo or photos.